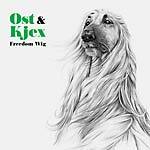 "Ost & Kjex (Cheese & Biscuit) are known for their releases on Crosstown Rebels, Punkt & Par Records, Dialect and Planet Noise. The boys have, in a short period of time, made an impact on the dance community with their strange vocal tracks, brown and yellow costumes and energetic live-sets. 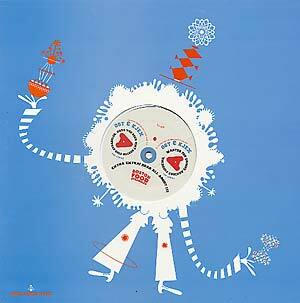 'The Boston Food Strangler' is a new villain in the world of Cheese & Biscuit (Ost & Kjex). Armed with razor sharp teeth and a deadly appetite, he's a piece of food's worst nightmare. The song is a moody techno journey with Cheesy's lamenting vocals going on about his most dreaded 'Cereal' killer. 'Bleu de Vache' is a hymn to the boys' favorite French blue cheese and their favorite animal, the cow. Imagine small blue cows shuffling along in a sweet electronica landscape. Dreamtime!"